This museum honors old Roosevelt Field, where Lindbergh took off from to fly the Atlantic, and Elinor Smith to fly under all four East River Bridges. It is, indeed, The Cradle of Aviation! The James Jones Writers Workshop Retreat is pleased to host a reading at the 2018 Arts in Harmony Festival. Enjoy readings from Kaylie Jones, Judy Mandel, J Patrick Redmond, Theasa Tuohy, and the participants of the Inaugural James Jones Writers Workshop Retreat. Beginning at 11:00AM. More detailed time information will be provided as event gets closer. 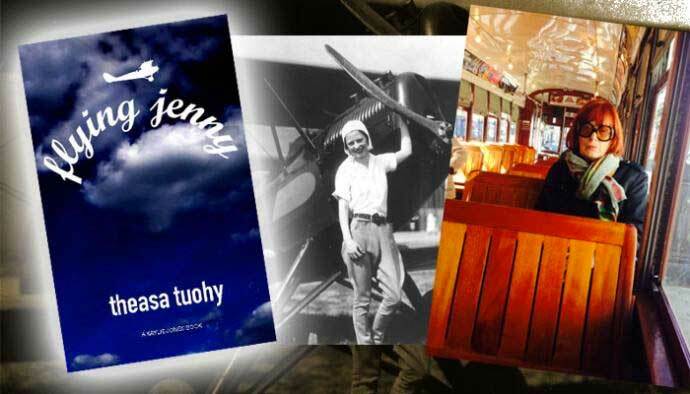 Join us in the Willa Cather community room as we launch Theasa Tuohy's novel, FLYING JENNY! Refreshments will be served.